Conspiracy theories do associate with stress. Basically, there’s been some research that’s showed that when people undergo a stressful life event — something like death of a family member, divorce, major disruption to their lives — conspiracy theories are more likely in that circumstance. So there is some indication that psychological stress can put people in this place where they’re looking around for new answers or they’re possibly trying to come to grips with the world in a new way. We’ve got other research showing that when someone doesn’t feel in control of their life or in control of what’s happening to them, conspiracy theories seem more plausible, and that might have been what’s happening with these people. I’m not sure what their subjective psychological experience was at the time, but there is some data that suggests that can happen. As I document in my piece, work as a content moderator is highly stressful. Workers’ time is managed down to the second, Facebook’s instructions about how to moderate individual posts can vary on an hourly basis, and making just a few mistakes can be enough to put a workers’ job at risk. Given that level of duress, it’s fair to wonder whether it couldn’t be a factor in workers’ likelihood to start believing in conspiracy theories. Meanwhile in One Zero, the new tech publication from Medium, Erin Schumaker talks to experts who speak to the power of repeated exposure to warp the human mind. “The more often you see it, the more familiar something is, and the more familiar something is, the more believable it is,” says Jeff Hancock, communication professor and founding director of the Stanford Social Media Lab. Conspiracy content is engineered to be persuasive. People accept these theories because they help make sense of a world that feels random; even if they seem far-flung to the rest of us, they can offer some sense of comfort or security. 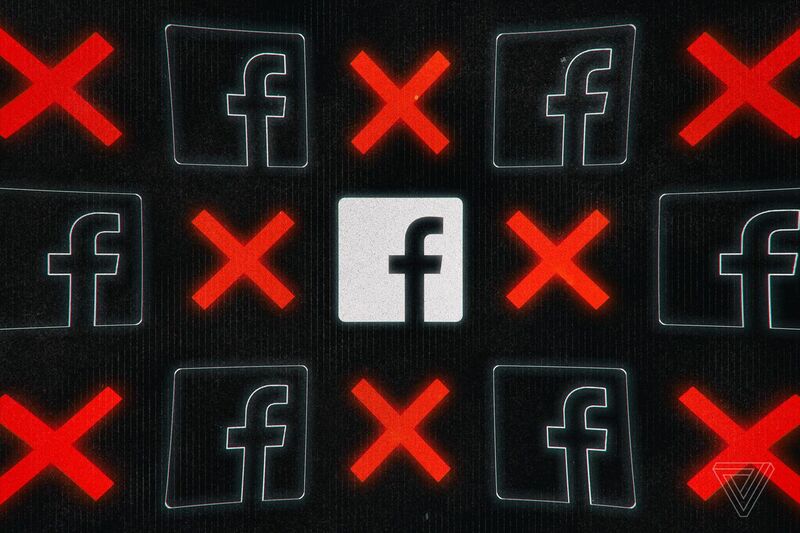 And seeing those theories repeatedly pop up in your Facebook news feed “starts to undermine the sense that they are fringe,” says James Grimmelmann, a professor at Cornell Law School who studies internet law and social networks. What to do? The obvious first step is research. Facebook told me it plans to conduct a survey of contractors’ “resiliency” in coming months that will allow the company to better understand its workers’ mental health. A question or two about conspiracy content could help Facebook begin to understand how widespread the issue is. Second, Facebook could develop training materials that prepare workers for the possibility they will find themselves influenced by conspiracies. It should be disclosed to prospective workers as a possible effect of doing the job, and counselors should be encouraged to discuss the issue with workers during their regular interactions. Finally, Facebook could create a knowledge base of known conspiracy theories for moderators to review as they go about their work. While it would be impossible to lay out all relevant cultural context for moderators, giving workers some sort of guide to popular conspiracy theories seems like a positive next step. A worker who has been prepared for the possibility that she may find herself exposed to and persuaded by anti-Semitic conspiracies would likely be better equipped to handle them. And who knows? Resources developed to support moderators may prove to be useful elsewhere. After all, before it reached the reviewer’s desk, it was lurking somewhere on Facebook, nudging someone further toward the fringe. Bhaumik hired Laura Higgins, an online safety expert in the United Kingdom, as Roblox’s first director of digital civility in January. Higgins, who was the online safety operations manager at the South West Grid for Learning, has been advising Roblox for more than 18 months. The company has more than 600 human moderators to patrol the content and behavior on the Roblox, and it is dedicating more resources to the task of changing online behavior. But it’s hard to stay ahead of the problem, Bhaumik said. Kids are smart and they come up with ingenious ways to get around the rules. Amazon will receive staggered payouts for occupying an increasing amount of office space near National Airport, and get at least two days’ notice when someone requests information it provides to Arlington County, under an incentives agreement the County Board will vote on March 16. The $23 million agreement, which was provided to The Washington Post in advance of its public release later today, spells out for the first time how many square feet the online retail giant must fill each year in order to get money from the county’s hotel tax. From outright falsehoods and partially-true misleading narratives to bigotry and hate, everything is circulated in the closed encrypted world of India’s most popular messaging application, with over 230 million active users. According to a 2017 Lokniti-CSDS Mood of the Nation (MOTN) survey, around one-sixth of WhatsApp users in India said they were members of a group started by a political leader or party. Not all political discussion on WhatsApp is about consuming fake news. Our dataset — over a million messages collected from politically-motivated WhatsApp groups between 1st August and 4th December 2018 — has all kinds of information: long crafted text messages, infographics, political memes, and news videos. The focus of this analysis is restricted to the study of images—36% of all messages; 9% were videos. Aside from the ad registry requirement, Google also expressed concerns about how it would detect ads of a partisan nature, which may not specifically mention a candidate or party by name. “The challenge for us is that that definition is extremely broad,” Mr. McKay said. Virtually all of America’s largest businesses drive a hard bargain with governments, angling for benefits and financial incentives. Amazon, though, often plays politics with a distinctive message: Give us what we want, or we’ll leave and take our jobs elsewhere. The tactics help Amazon squeeze as much as possible out of politicians. At last week’s gathering here in a suburb of Washington, Silicon Valley’s only obvious presence was on the lips of exercised right-wing critics who whipped up the crowd by denouncing the American tech industry as an authoritarian hegemony intent on censoring their cause. Eventually, when Bredouw refused to respond, Barstool Sports filed its counter-notice, telling Twitter that Bredouw’s copyright strike wasn’t legitimate; that Barstool had “a good faith belief that the material should not have been removed.” And Twitter apparently bought it, according to a message she received from Twitter indicating the video would go back online after 10 days — unless she sought out a lawyer and took Barstool to court. Facebook is looking to launch enterprise edition versions of its Oculus Go and Oculus Quest virtual reality (VR) headsets this year, according to a job listing published late last week. The listing spells out broader plans to bring augmented and virtual realitytechnology to the enterprise, starting with dedicated enterprise versions of the two headsets. Even with deepfake filters’ limitations, they could be enough to scare political trolls away from the tactic. Uploading an algorithmically doctored video is likely to attract attention from automated filters, while conventional film editing and obvious lies won’t. Why take the risk? It’s also not clear how useful deepfakes are for this kind of troll campaign. Most operations we’ve seen so far have been more about muddying the water than producing convincing evidence for a claim. In 2016, one of the starkest examples of fake news was the Facebook-fueled report that Pope Francis had endorsed Donald Trump. It was widely shared and completely false, the perfect example of fake news run amok. But the fake story offered no real evidence for the claim, just a cursory article on an otherwise unknown website. It wasn’t damaging because it was convincing; people just wanted to believe it. If you already think that Donald Trump is leading America toward the path of Christ, it won’t take much to convince you that the Pope thinks so, too. If you’re skeptical, a doctored video of a papal address probably won’t change your mind. Dow was not known as a defense contractor — in fact, until its Pentagon contract, the business was best known for making industrial chemicals and household plastics like Saran Wrap. But over the next few years, as Americans began seeing gruesome images of South Vietnamese children with horrific napalm burns, the antiwar movement set its sights on the company. “Delete your account” is a fun thing you can say to anyone at any time, and I encourage you to do so. JetBlue is basically asking its Instagram followers to do just that, with a twist. Rather than deleting your entire account, you simply have to delete (or archive) all your photos, then post a single, JetBlue-promoting photo to your account, using the airline’s template. On one hand, turning Instagram into a spam wonderland to promote an airline feels like a bad outcome. On the other hand — free flights. The choice is yours. Send me tips, comments, questions, and strategies for ignoring conspiracy theories: casey@theverge.com.